Not all pools are created equal. We’ve journeyed far and wide to discover the best pools in the land. Join us in wading through our ultimate pool bucket-list. 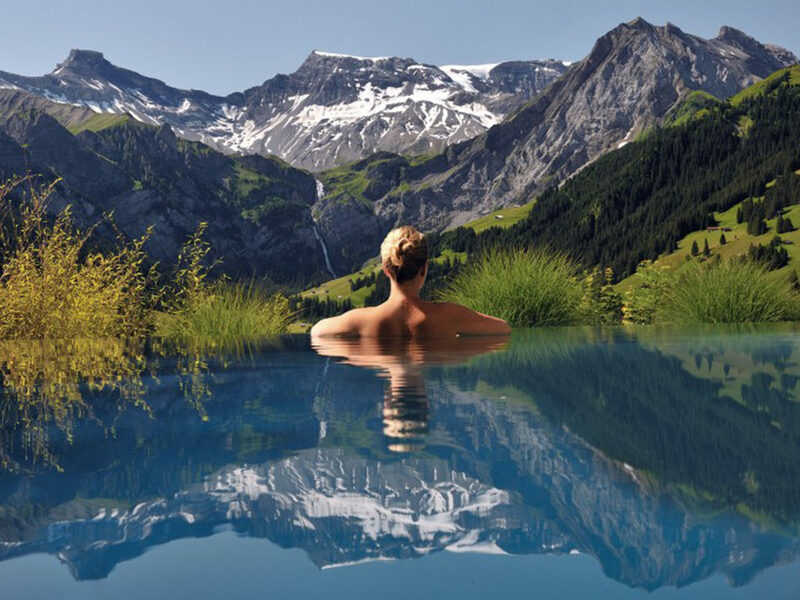 Can you think of anything better than floating in an infinity pool heated to perfection at 32C that’s nestled in the pristine scenery of the snow-capped Swiss Alps? Neither can we! The outdoor thermal pool at the Cambrian Hotel overlooks one of the world’s most spectacular vistas. Santorini is renowned for its spectacular sunsets. 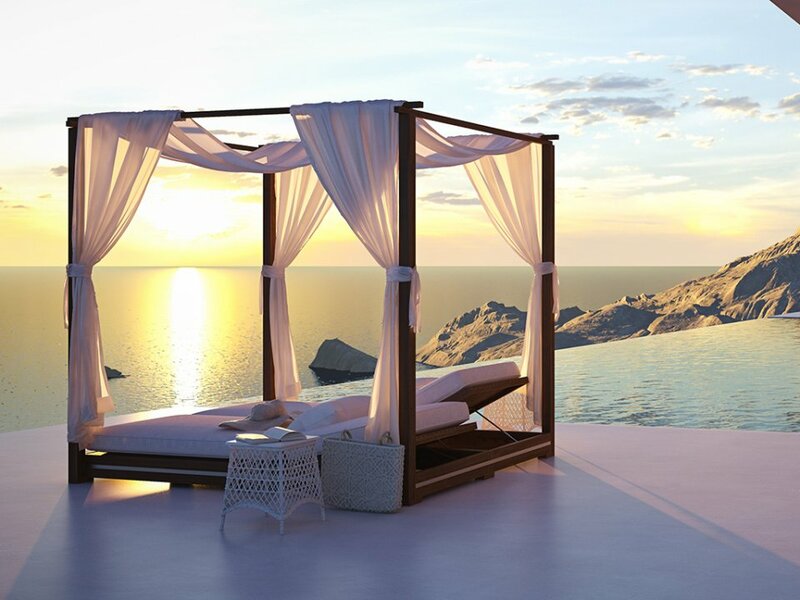 Tick off a truly bucket-list moment by taking in the most dazzling sunset in the Mediterranean while poolside at the Grace Hotel. 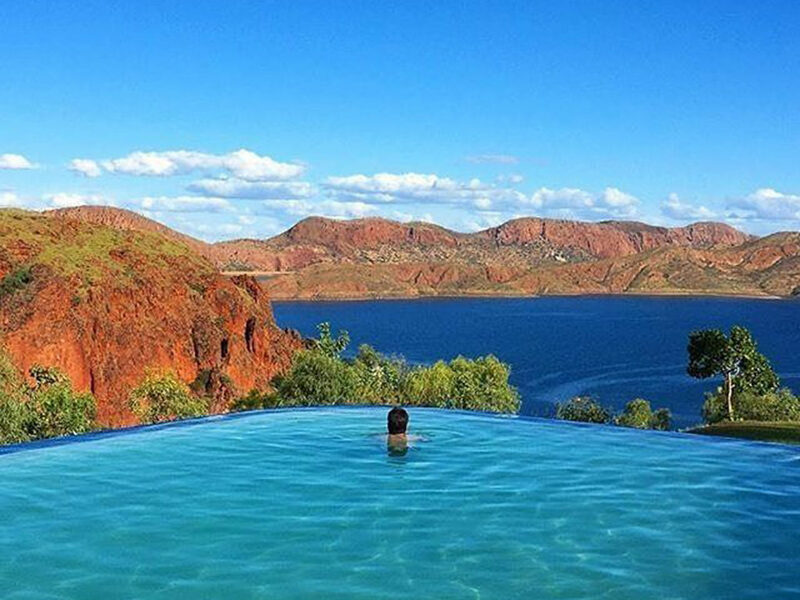 Closer to home, we have the 35m infinity wet edge pool overlooking the picturesque Lake Argyle. Surprisingly, you will find this stunning pool located in none other than the local caravan park! After a hot day in the rugged Australian outback, cool off in the pool while you take in the breathtaking scenery of the Kimberley. 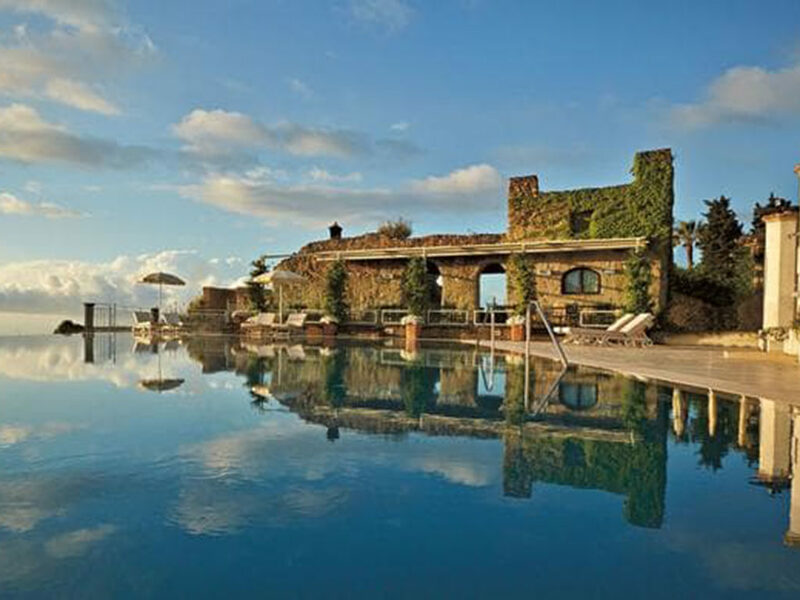 It’s where modernity meets antiquity at the Belmond Hotel Caruso. The infinity pool at the refurbished 11th-century Italian palace affords stunning 180-degree views of the surrounding mountains and the Amalfi Coast. Instead of getting hot and dusty, enjoy the rush of an African safari while keeping cool in the pool. 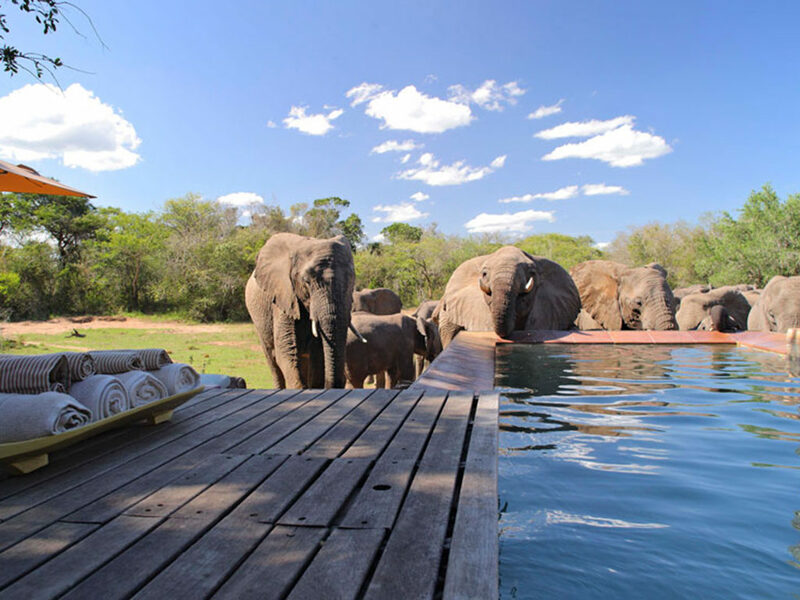 Situated amongst the unspoiled African bushland, this is indeed a once in a lifetime experience. 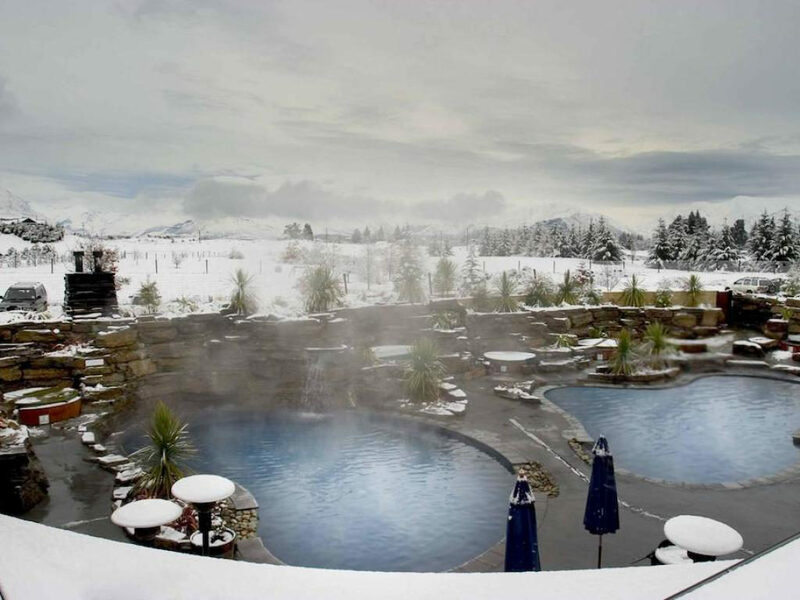 Back to keeping it local – why not defrost in Oakridge Resort’s heated rockpools? Stay toasty in the steamy waters while a winter wonderland surrounds you. 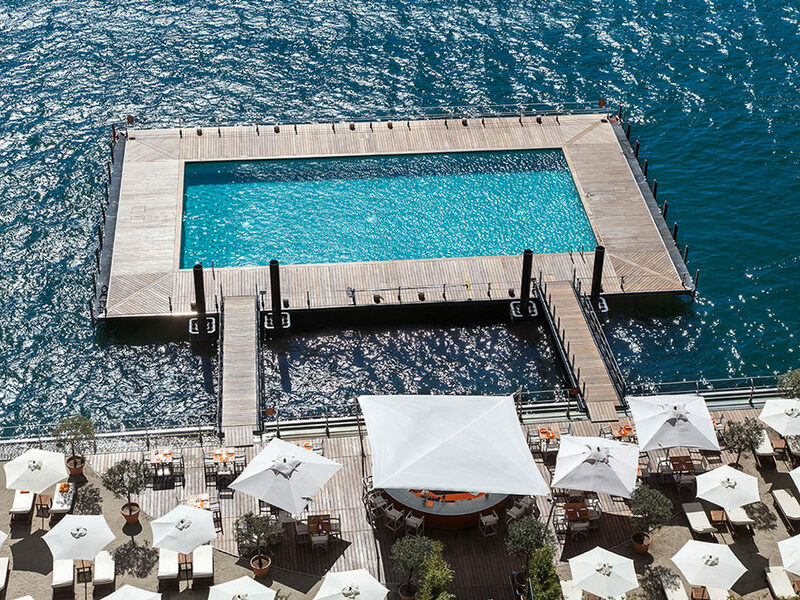 Join the likes of George and Amal and experience the beauty of Lake Como poolside at Grand Hotel Tremezzo. Five spas and a day spa accompany this floating pool, so you can relax in style while looking over the Bellagio mountains. 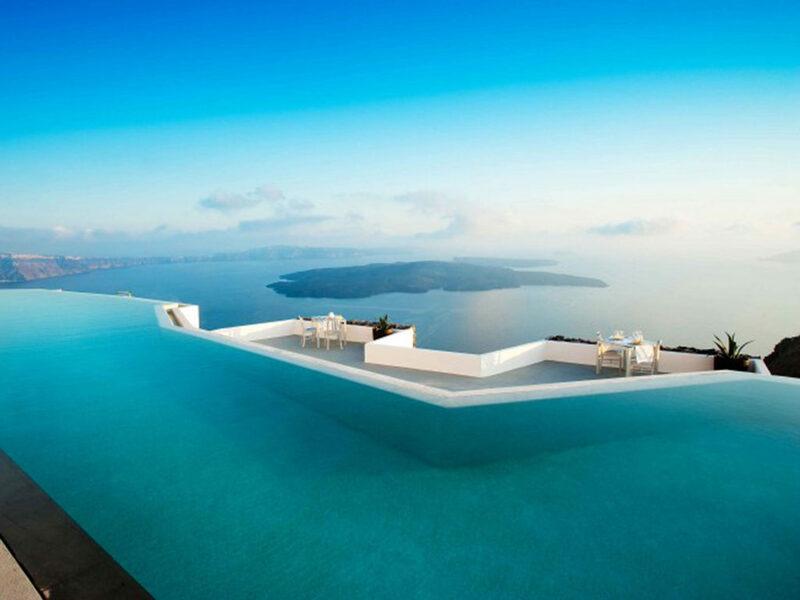 There you have it – the ultimate pool bucket-list! Our list is guaranteed to keep you busy swanning around the globe and swimming in luxury. For more pool inspiration, head to our Facebook page.